With a penchant for whisky and a particular fondness for hats I was more than excited when I sallied down Piccadilly heading for the launch of Tweeddale’s new single grain whisky, “The Grain of Truth” at the esteemed hatters, Lock & Co. 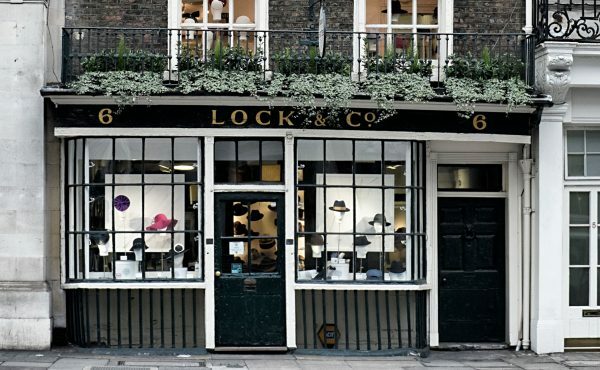 Lock & Co. was the perfect venue for an evening of whisky tasting. Walking through the very door Nelson entered to settle his accounts before departing on his fateful campaign at Trafalgar along with Winston Churchill and actor Gary Oldman. I’m pretty sure these gentleman would no doubt have needed a wee dram from time to time. Upon arrival we were welcomed with a Whisky and Ginger Ale, showing off the remarkable versatility a single grain blend can offer. It was a wonderful way to cleanse our palate and a warming escape from the wintry elements looming outside. 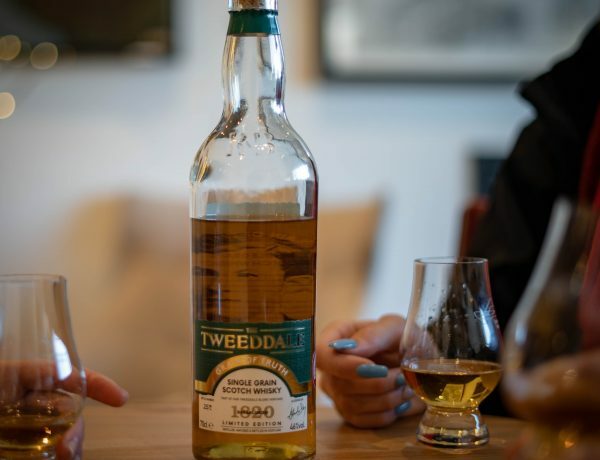 Once revitalised and being given a tour of the Lock & Co shop floors it was on to learn more about the whisky and the delights that Tweeddale offer. Far from inferior to malt whisky, single grain, though less common, is witnessing a real revival of late with aficionados increasingly keen to promote its unique traits. 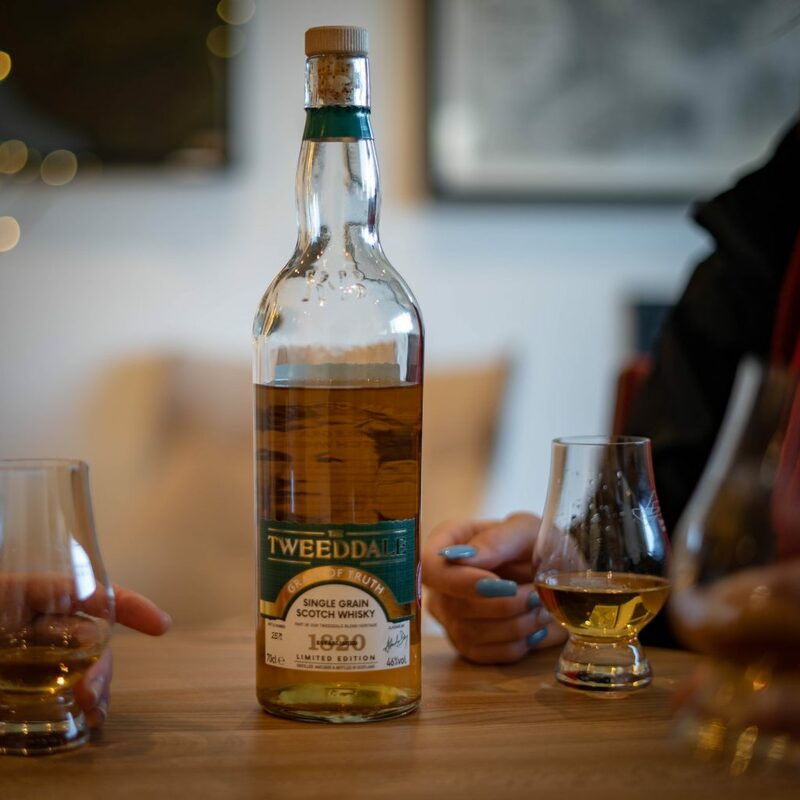 Soon began a guided evening into furthering our understanding of whisky and the unique story behind the heritage brand of Tweeddale. Not quite falling squiffilly down a rabbit hole, although it would have been easy to have done so with the history surrounding us and the obscure framed head maps of the great and the good following their measurements taken. 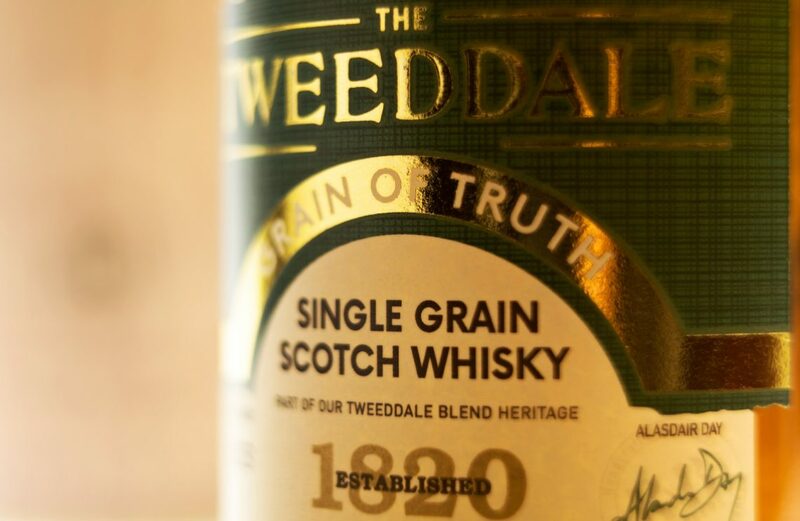 What makes Tweeddale so special is the passion and the story behind the brand of fine distilled delights. Originally established and blended by Richard Day in 1820 up until the war drew a close to the distillery in 1940. Great Grandson Alasdair decided to recreate his forefathers whisky from the Scottish borders in 2009. Armed with just the original ledger of sales from the 1800s which fortunately had scrawled in the back pages the a list of blends. ‘Grain of Truth’ has been blended with the curious drinker in mind. Blended with 50% malted barley and left to finish in a sherry cask gives Grain of Truth an unusually complex flavour profile of spice and dried fruits. Perfect to set the mood and get through the January blues. Tweedale is unique when compared to other small batch distillers. The pride Alisdair holds for his family history was astonishing and inspiring to witness, along with the good fortune in recovering many blends from from the heirloom ledger. Bringing back to life his Grandfather’s legacy, I am certainly grateful to Tweedale sharing such a fine evening with us. With family in mind it was certainly fitting that the tasting was held at Lock & Co. the 34th oldest family run business in the world. Tweedale’s Grain of Truth proves to exist as a great mixer or on its own either neat with ice it is perfect for a self reflecting knees up with oneself or as base for a more social gathering. Available for £50.00 from the Rassay Distillery website.